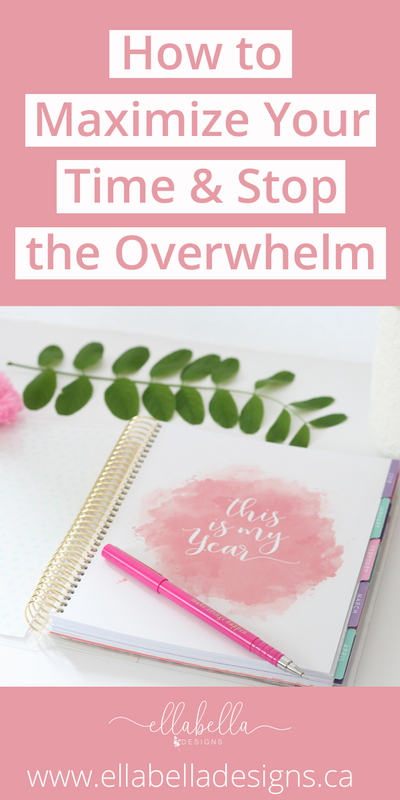 If you are feeling the overwhelm, I am excited to share my simple strategies to get your life back on track! I will share how I turned things around which lead to being more organized, getting stuff done, and actually having more time in my day to do the things I want - and you can do it, too! *Please note: Some of the links in this post are affiliate links. This means we will make a small commission should you click the links and make a purchase. Please see our full disclosure policy here. Let's be honest, being a busy mom to three kids, a house to run, and a business owner is tough! I have been struggling to stay on top of things lately, and I have been feeling overwhelmed, unproductive, and unfocussed. It was especially difficult during winter break when the kids were home from school. I am someone who thrives on being organized, setting goals, and creating routines yet I just felt I couldn’t keep up. There have been so many days while raising three kids and trying to stay on top of my business that I feel like I’m in a constant state of disarray. I realized I needed to get back on track with my goals and I needed a system to keep me organized and on track. Does this sounds familiar? Are you ready for a change, to stop feeling stressed? Do you want to take back your life? Then read on, my friend! Three simple yet powerful habits that transformed my life - goal setting, planning, and taking action! If you start your days unplanned and frequently forget to do important tasks and not meeting your goals, you are potentially setting yourself up for failure and frustration. In order to reach success, you need to set goals, plan, and take action! It seems so simple, but without any goals you are just wandering aimlessly through life and not living your fullest potential. You can’t reach your goals without a strategy -- well, maybe you can but it is much less likely and will take more time. 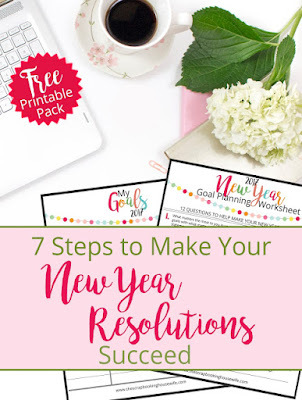 It is super important to write down your long-term goals and then break them down into smaller, more attainable goals and set up an action plan for the year ahead. I use a planner to sort out my goals and plan my steps to achieve them! I go into more detail of how to plan and achieve your goals here: Epic Guide to Goal Planning and How to Make Your Goals Succeed. 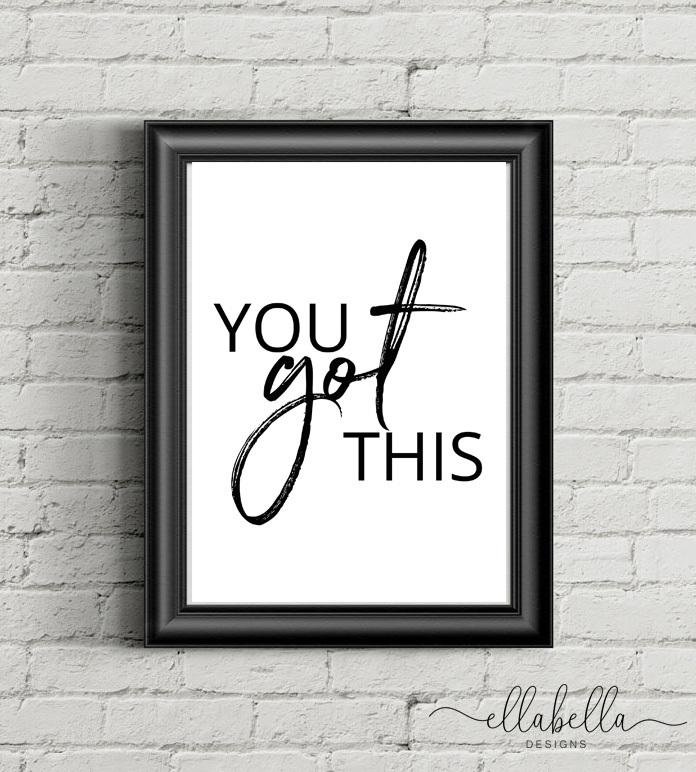 There's even a 7-page Goal Workbook you can download to help you take the time to evaluate where you are in life and clarify your values, dreams, and goals! Then once you have done that, you are ready to start planning! 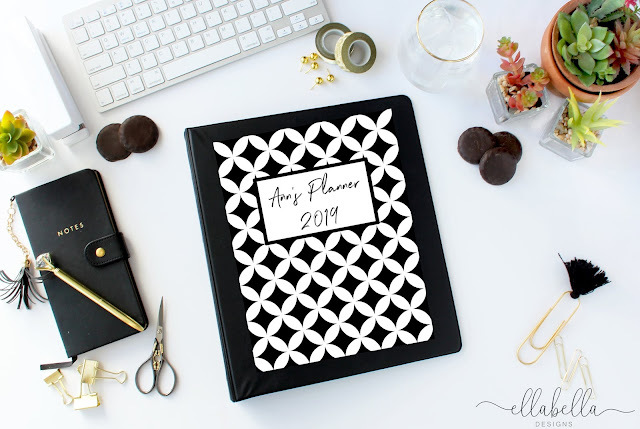 I actually designed my own planner (now available in the shop)! I love using it -- it's a such powerful tool and using one has changed my life! I’m definitely not perfect, but I feel so much better than before. I now feel more empowered, driven, and focused! Through this process, I have learned what works for me. I now feel less overwhelm and finally feel productive at the end of the day! 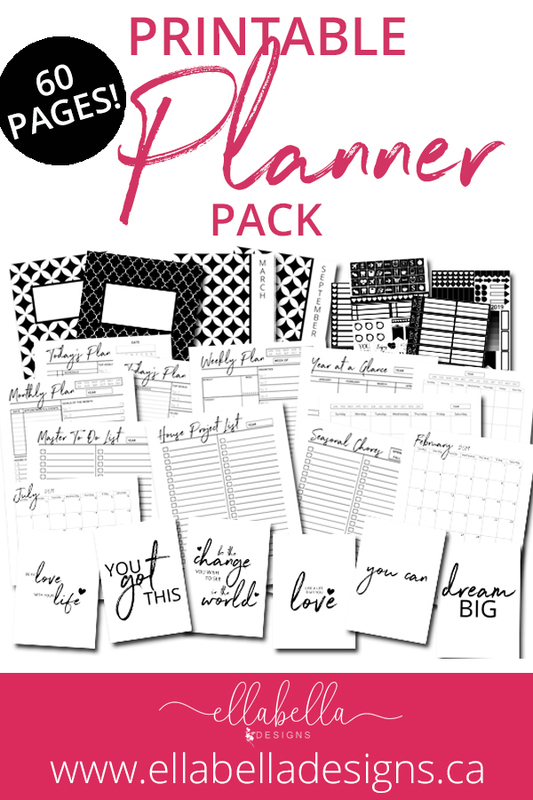 Not into printable planners? 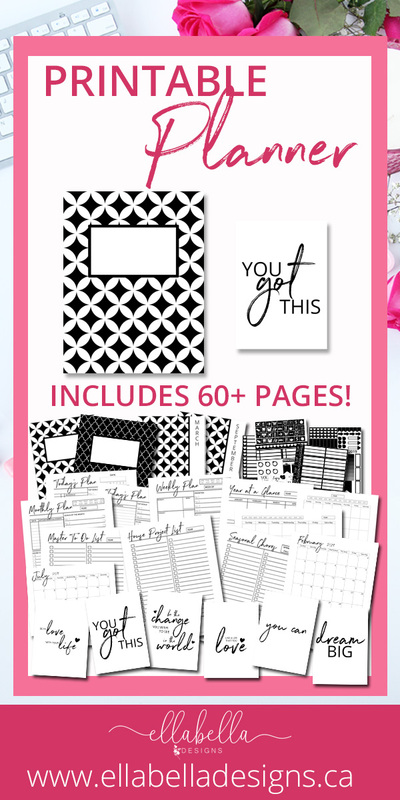 Check out Erin Condren's selection of awesome planners! There are many benefits to using a planner. Here are just some of the reasons why you need to start! 1. 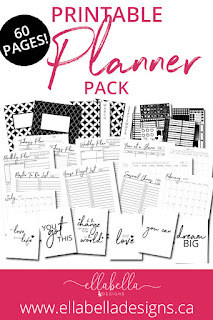 Planners help you stay organized and on track. They bring order to our otherwise chaotic lives. 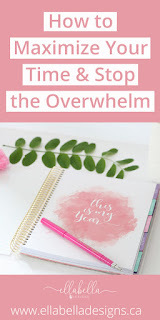 They help us prioritize what needs to get done first and beat the overwhelm. 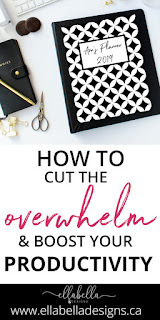 Overwhelm often comes from not knowing what to do first or how to get something done! It can also be due to having too much on your plate. 2. This one is obvious, but planners help us remember what we need to get done. 3. Planners help us achieve our goals. Seeing my business and personal goals written down helps me to achieve them. 4. 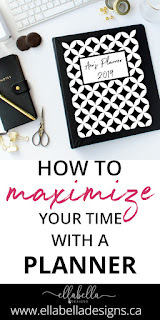 Planners help with time management. Do you ever find there just isn’t enough time in the day? Scheduling your time effectively allows you to stay on track and have more time to enjoy the things you want - like starting a new hobby! 5. Improves productivity. Do you wish you were more productive at home? 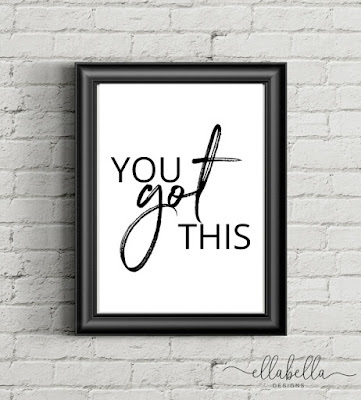 Do you struggle to stay on top of the cleaning and home organizing or finding time to get any projects done? Planners help you stay on track so you can be more efficient. 6. Reduces stress. Be sure to use your planner to schedule in some much needed self-care! 7. Gives you a creative outlet! Drawing & doodling with gorgeous gel pens, adding stickers & washi tape - there are so many things you can do to add a little fun while you plan! It makes your everyday tasks more fun, too. 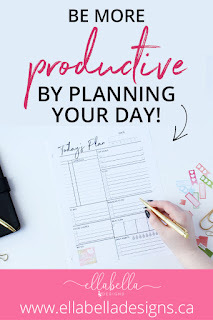 Once you determine your routine for maintaining a planner, you will soon discover what benefits your planner brings you. Create a master list (or brain dump) of your goals; things you’d like to achieve in the next few months, within the year, or even in 5 years! This is a crucial and very important step and will help you visualize all that you want and need to do. Be sure to assign realistic deadlines to your goals. Related: Epic Guide to Goal Planning and How to Make Your Goals Succeed. You may feel overwhelmed at the list or you could be feeling relieved, but writing down your goals is the first step of goal setting. Fill important events and dates into your Year at a Glance calendar, then pull 3-5 items from your Master List to focus on for the year. A monthly calendar is great for an overview of the month. At the beginning of the month, write down your top goals for the month on your monthly planner page or calendar. Mark down any birthdays, appointments, plans, etc. Reflect on the previous month and note if you are where you want to be, are there things you need to change or do better this month? I love to prepare ahead for the week so I can set myself up for success and maximize my time. 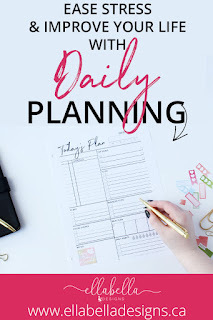 I do my weekly planning on Sunday evening to get a look at the week ahead, review what needs to be done, and schedule time in to my day to ensure I am able to accomplish everything. 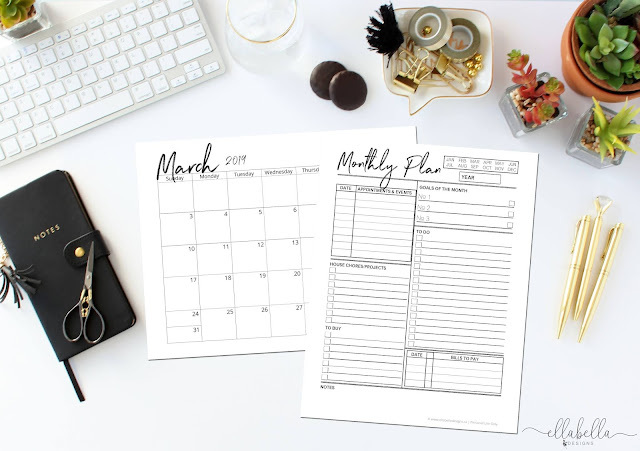 Look at your monthly planning list, break down the goals to create action steps, and add them to your weekly planning list. Block off time to accomplish those tasks. Before planning the week ahead though, consider reflecting on the previous week and if there is anything outstanding you need to do, add it to your weekly to-do list. 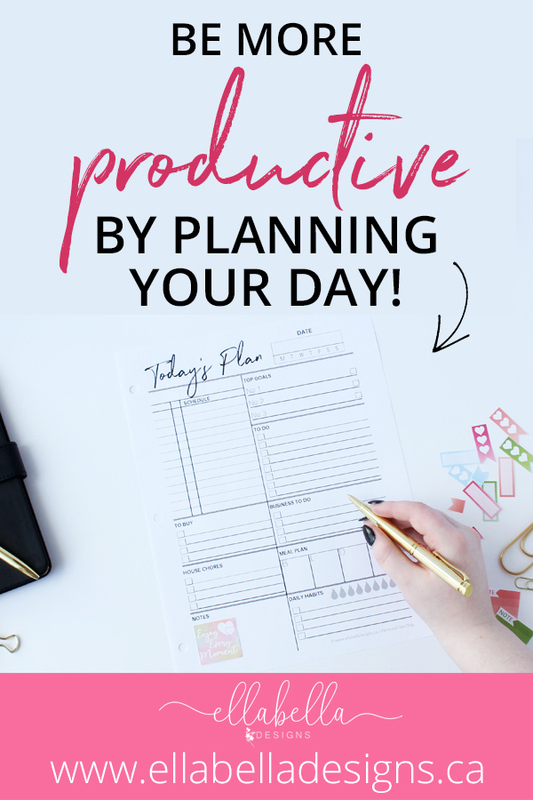 Weekly planning will dramatically increase your productivity and you can enter Monday feeling confident and ready to take on the week. I actually also use a weekly whiteboard planner on the fridge and I fill it up every Sunday with our activities, appointments, reminders, etc. I honestly don’t know how I would manage without this gem, it has been a timesaver and a lifesaver! Plus everyone can see what is going on for the week and plan accordingly. Here are some similar ones to mine. The key to managing your day and crushing your goals is creating habits. Managing your time needs to be an ongoing process you follow to keep focused on your priorities. Plan & Prioritize: Set a plan for the day. Decide what you can realistically accomplish that will further your goals and make you feel like your day has been productive and successful. Some people find it helpful to schedule the hardest and most important items at the beginning of the day. Focus: Make sure to refocus throughout the day to make sure you are on track. Review: Spend some time in the evening reviewing your day. What worked? Where did you get distracted? What did you learn that will help you be more productive tomorrow? As part of my evening routine, I glance through my weekly planning list and create a daily to-do list for the next day. I love to wake up knowing exactly what I need to do and I find I sleep a little better at night when I have it all written down! 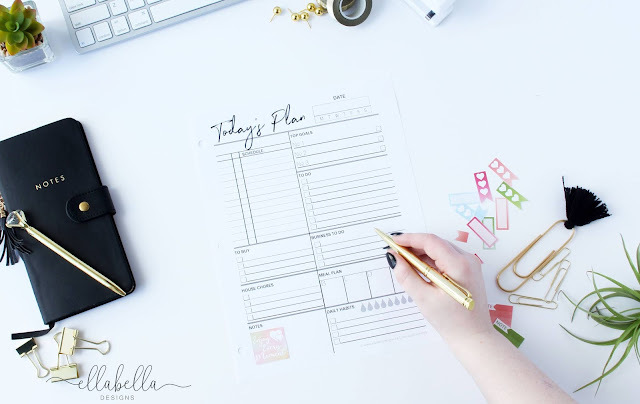 Planning my tasks in advance and prioritizing them helps me stay focused throughout the day. 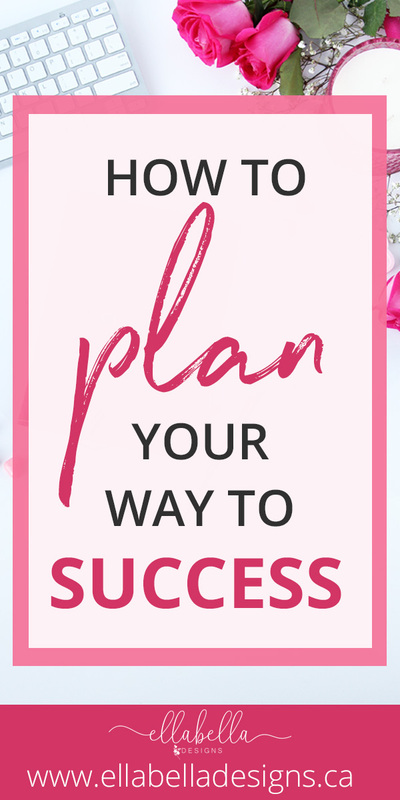 Having a clear road map on how to crush your goals starts with planning! I know what it feels like to lack control and feel so overwhelmed you just don’t know where to start. 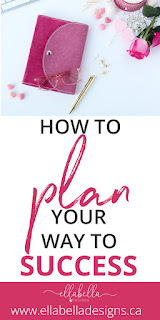 A planner guides you through an action plan to live your best life through goal planning and taking action every day. You will be able to focus more and your productivity will skyrocket! One final thought: Don’t over-schedule. Make sure you are careful not to over-schedule yourself. Schedule tasks and events you know you can check off -- you can always add to your list. I find it easier not to overwhelm myself with too much and really focus on my top 3 goals of the day -- my MITs (most important tasks). Once I get those done, anything else is just icing on the cake. I’m so excited for you to start this journey with me! I’d love to know how you keep track of your goals? How do you organize your day? Do you use a planner? 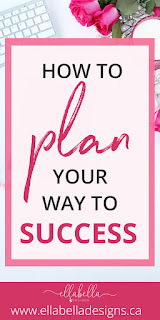 Do you have any tips on how to use a planner effectively to reach your goals? I would love to hear from you! Comment below or find me on Facebook @ellabelladesignsbyann or Instagram @ellabella.designs. Be sure to pick up the printable planner in the shop! 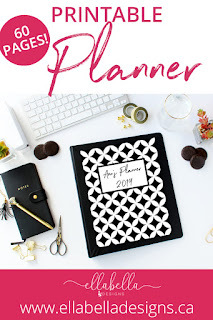 Not into printable planners? 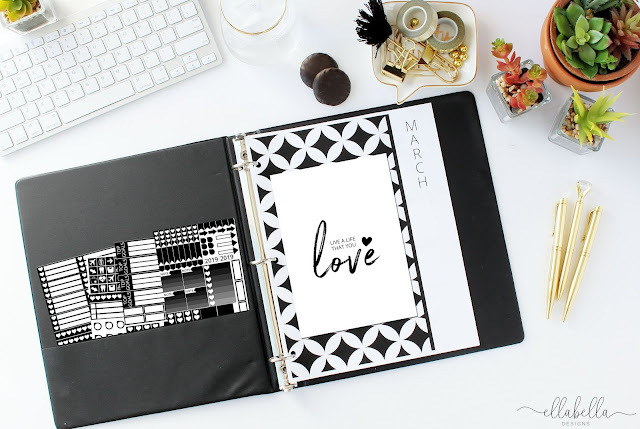 Check out Erin Condren's selection of awesome planners!